daniele você tem namorado ? I KNOW UR X BOYFRIEND IS HELLA BORIN! 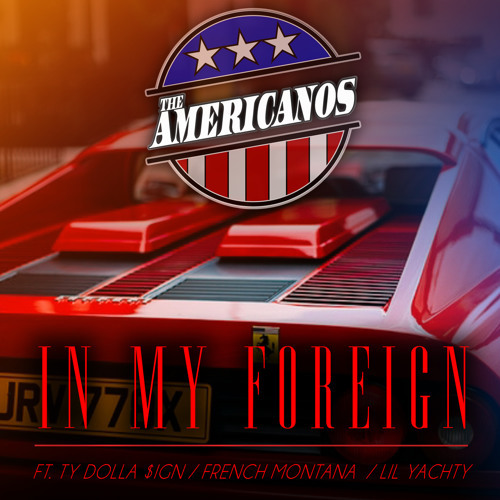 Users who like The Americanos Ft. Ty Dolla $ign, French Montana, Lil Yachty - "In My Foreign"
Users who reposted The Americanos Ft. Ty Dolla $ign, French Montana, Lil Yachty - "In My Foreign"
Playlists containing The Americanos Ft. Ty Dolla $ign, French Montana, Lil Yachty - "In My Foreign"
More tracks like The Americanos Ft. Ty Dolla $ign, French Montana, Lil Yachty - "In My Foreign"